Well it happened. The “ah-ha” moment. I heard about Callie + Brent’s news via a mutual friend. 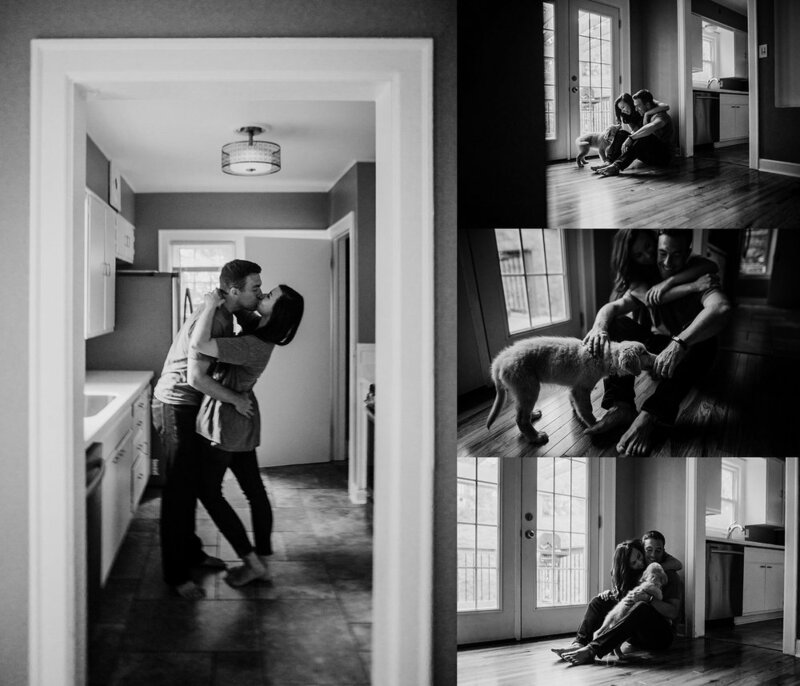 Soon after I had emails from Callie planning ahead for an in-home lifestyle session… when they were ready. Despite everything they had been through these two were so filled with hope + faith + new beginnings. I could try to write out something to describe their situation but I’ll leave that to Callie. (who thankfully is an excellent and eloquent writer - who wrote about her experience as an outlet soon after). So here it is. This is really a I-need-to-write-to-feel-better blog and not a commitment to really being back. Although, it probably should be. Anyway, most of you know what’s happened. I hate that word. Fire. We weren’t supposed to be people who ever had to deal with a fire. That’s something you hear about on the news. But it’s never supposed to happen to you. We weren’t supposed to lose Baker after only a year and a half. That wasn’t long enough. We weren’t supposed to feel the guilt of leaving her home alone. Everyone leaves their dog home alone. 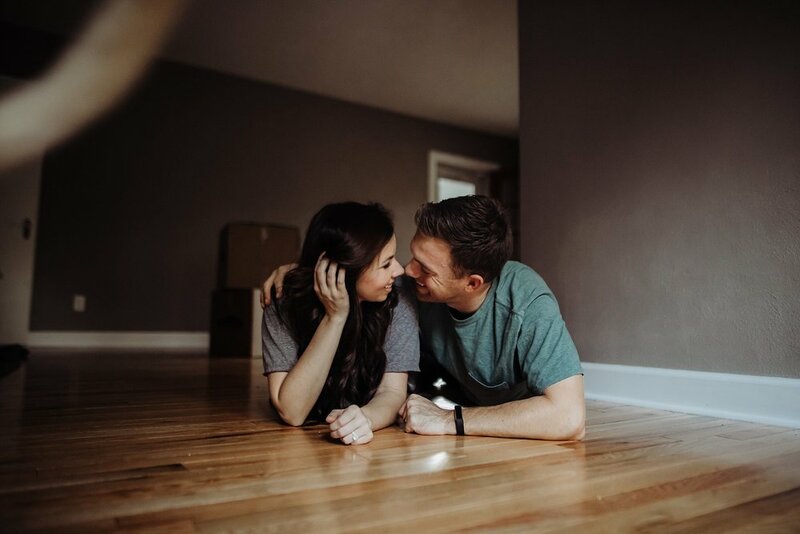 We surely weren’t supposed to start our marriage in a rental home with our dog’s ashes on a shelf. But again, here we are. And guess what? We’re handling it. It’s not easy. It’s really hard, actually. But we’re handling it. Because we’re not handling it alone. And I’m not talking about our ROCKSTAR families and friends who have extended a million helping hands. You could never convince me that anything besides FAITH could get us through a situation like this. Don’t even try. I wouldn’t listen. We’re not supposed to understand why anything happens. Ever. But we’re supposed to trust that whatever does happen is something we’re capable of surviving. And is something capable of producing good. That’s faith. That’s hope. Hopeful that we’ll recognize any good in this situation. Even if it’s finding a rental home close to our home that we’re comfortable in. Even if it’s realizing that together we can get through anything. Even if it’s just a reminder to never ever ever take anything – even a whiny dog who’s pretty sure she needs to eat breakfast at 4am – for granted. We’ve got a ways to go on this journey but we’re figuring it out one day at a time. Life didn’t stop and wait for us to decide that we’re okay again. It kept going. But because of faith, and because of hope, and because of love, so did we. So here is the Jones’ lifestyle session. 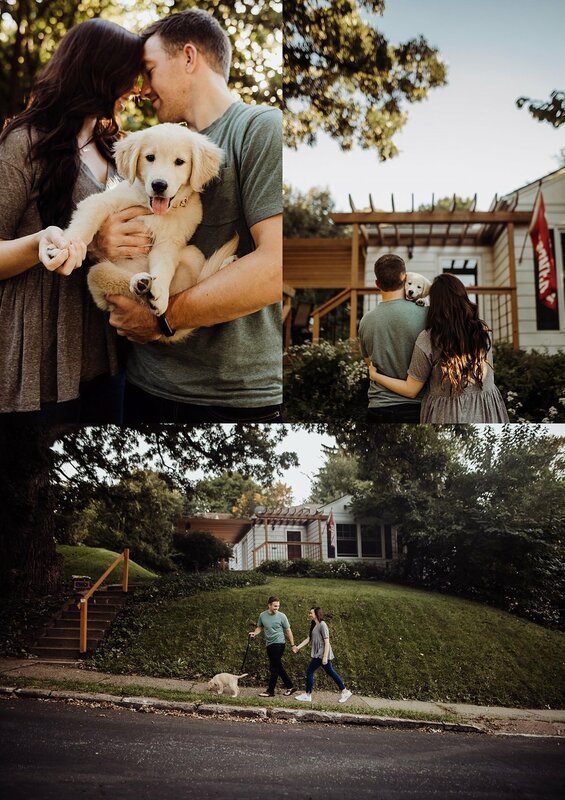 Almost smoke free house, the sweetest couple, and a new furry friend (Parker).